A loan of $425 helped to purchase more thread in order to expand her weaving business. Lalitabi is 33-years-old married woman residing in Imphal West district, Manipur. She has a household of 5 members and monthly household income of INR 9,600. She is engaged in the weaving business. She makes phanek, khudei, woolen shawl, etc. She wants to purchase more threads to weave more variety of clothes and to expand her business. 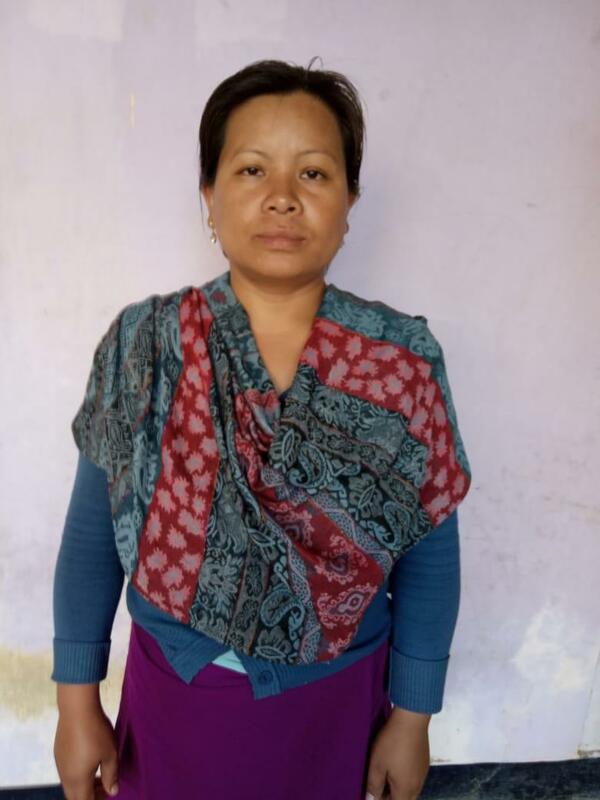 She has applied for a loan of INR 30,000 from Chanura (one of Milaap's field partners). She and her family will be thankful to their lenders. It provides business loans to women micro-entrepreneurs. This loan provides women entrepreneurs in Manipur in Northeast India with access to capital to start or expand income-generating businesses. By supporting this loan, you help provide financial access for women entrepreneurs with no other access to traditional financial services in one of the most financially excluded regions in India. Milaap enables individuals all over the world to give a loan to the deserving, working class of India – students, small businesses, families – who need a small amount of capital to get ahead and change their lives for the better. Milaap’s loans are facilitated through local MFIs and social enterprises, and borrowers repay their loans to these Milaap partner organizations, in accordance with the established repayment schedule. Milaap does not require its partner organizations to report repayment information from individual borrowers, so they are unable to pass this information along to Kiva. Because of this, in the case of a borrower default, the Milaap local partner organization will cover the repayment of the loan to Kiva lenders, with the exception of large-scale defaults due to major events, such as natural disasters. Kiva shares Milaap’s commitment to partner with impactful organizations that are expanding financial opportunity and enabling improvements in the quality of life for underserved and marginalized communities. Milaap is arguably the most successful crowdfunding platform in India for social causes and provides much needed capital to organizations in India where international funding opportunities are limited. Kiva funding to Milaap will specifically be provided to borrowers in geographies that are not covered by traditional microfinance capital and for innovative products for which financing is not available.